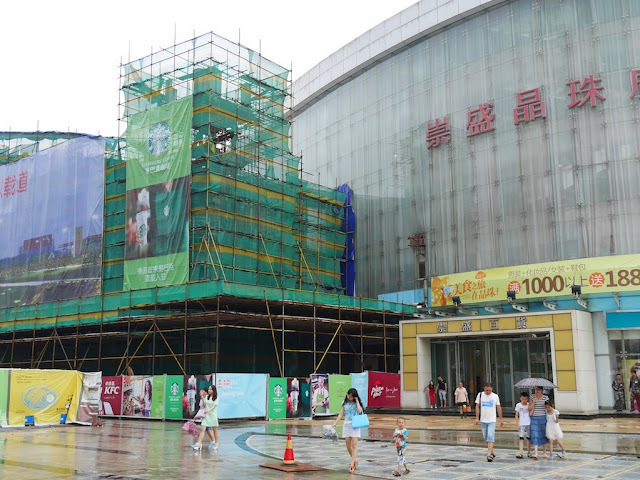 Last year I saw a clear sign at a large shopping mall that Hengyang would soon have its first Starbucks. 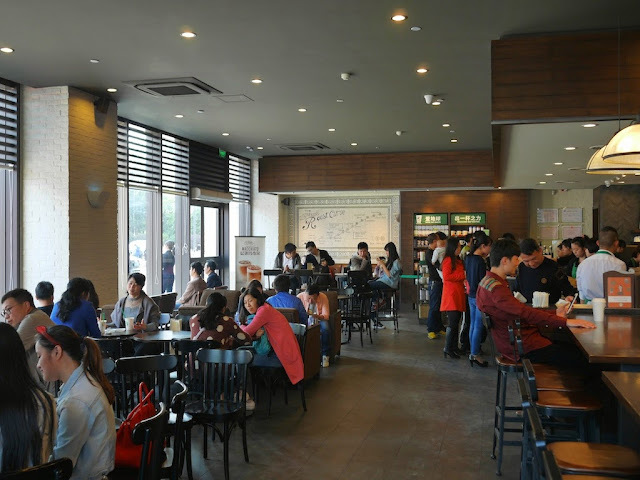 Starbucks would offer an experience not available in Hengyang I could see people were craving, and I had little doubt this store would be a success. 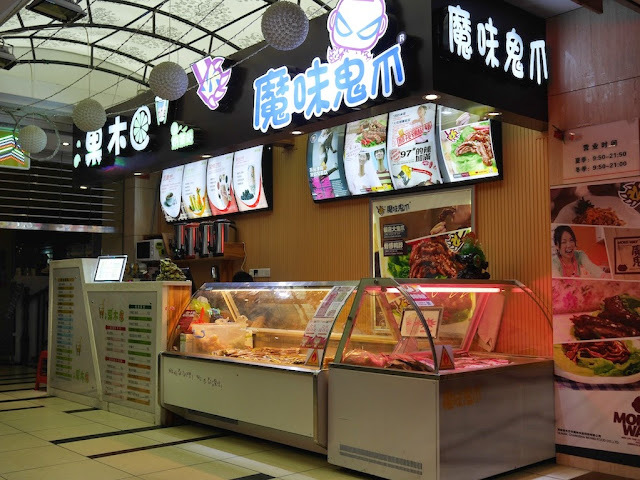 When I returned to Hengyang this month, the store was open. On one Thursday afternoon, people apparently not enjoying Starbucks products occupied most of the outside space, but customers took up much of the available seating area inside. 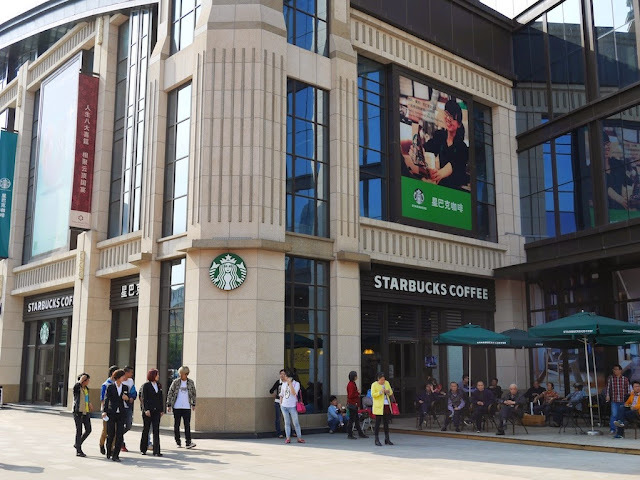 While the store represents some of Starbucks incredible growth in China, it is also another sign of how Hengyang is changing. 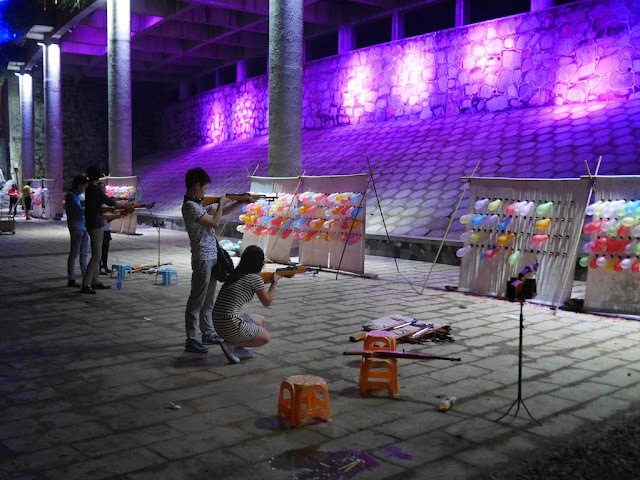 On nights in May and June last year, I often saw people shooting balloons set up by various game operators at a multileveled riverside area in Hengyang. And on one occasion, I saw people taking a creative, if not riskier, approach to the game. 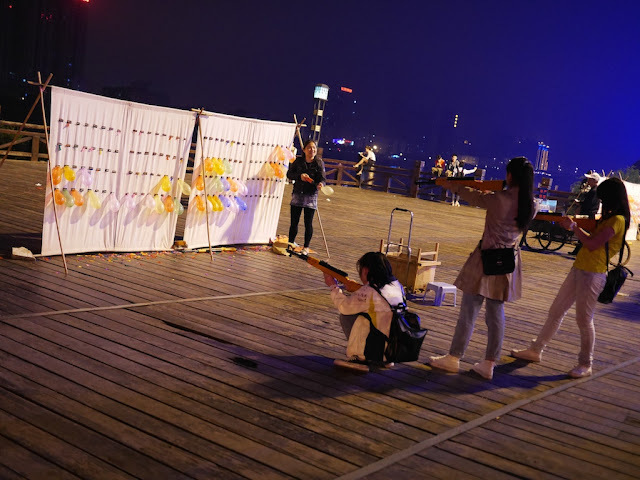 When I returned to Hengyang this month, I saw that the balloon shooting remained a popular activity. Thanks to several friendly conversations last year, one of the game operators even recognized me and provided a hearty welcome back. 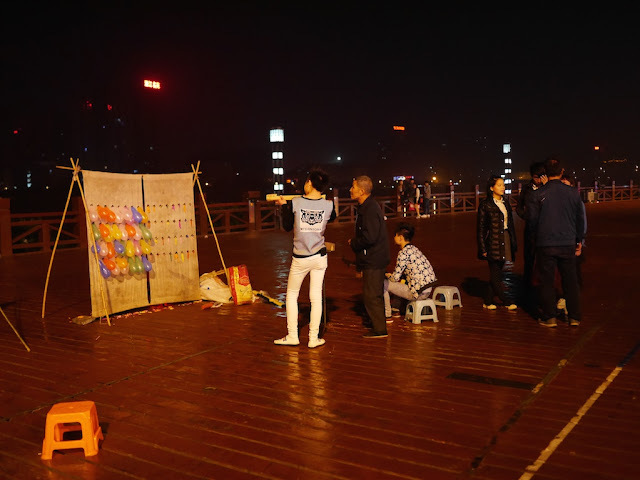 Like some sunken boats, the game was something that hadn't changed much in Hengyang over the past year. 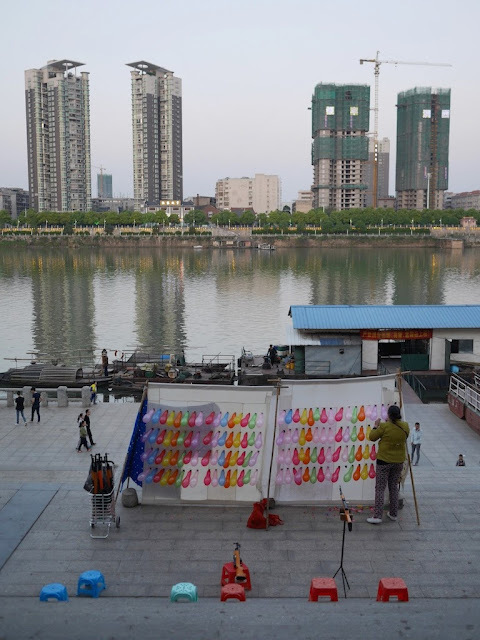 Though as one game operator set up for the night, I noticed a type of change common in Hengyang underway across the river. I asked a Chinese customer in the store for his thoughts on the shirt. He said he was unsure about most of the shirt, but the stars reminded him of the U.S. flag. Yet "PRC", especially in China, most often stands for "People's Republic of China". 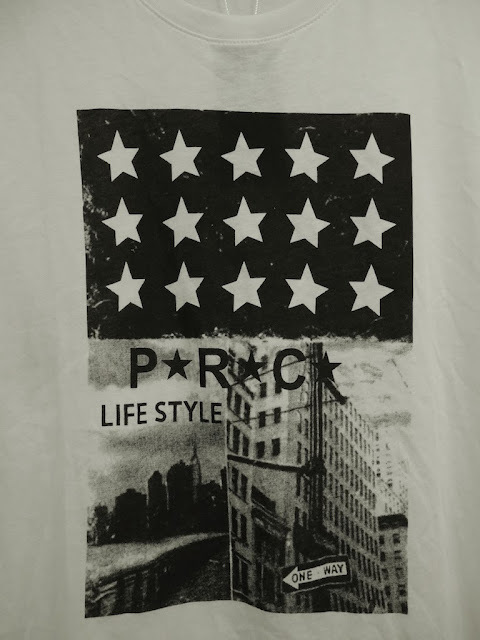 The shirt's potential message about "lifestyle" intrigued me. 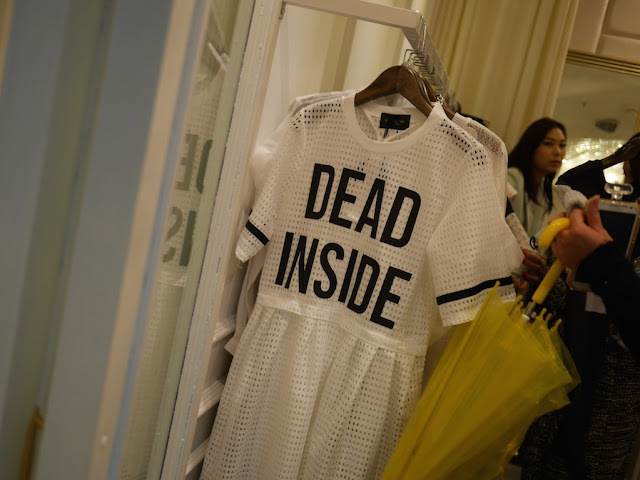 So I wished I could speak to the shirt's designer. At the very least, they might be interested to know I bought it. 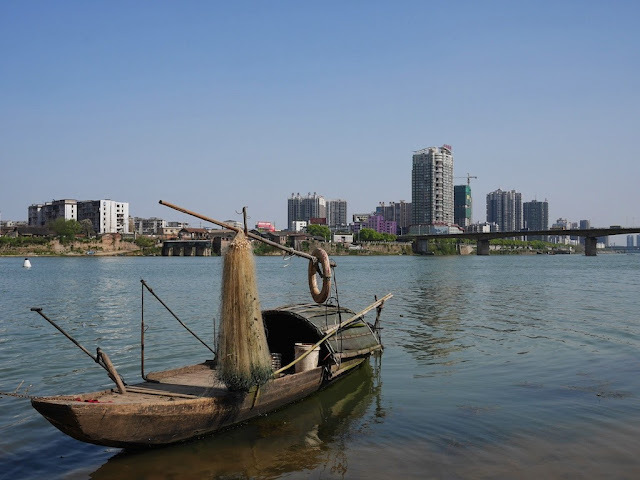 While some things have significantly changed in Hengyang, Hunan province, during the past year, others have seen less change, including one related to the earlier boat theme. After heavy rains in June last year the water was higher than in either of the two photos above. The water was far less clear this year. 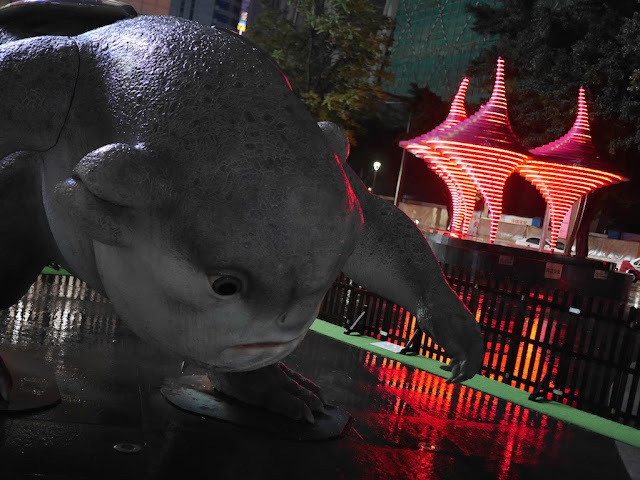 There were also a number of dead large fish floating around during my latest visit. 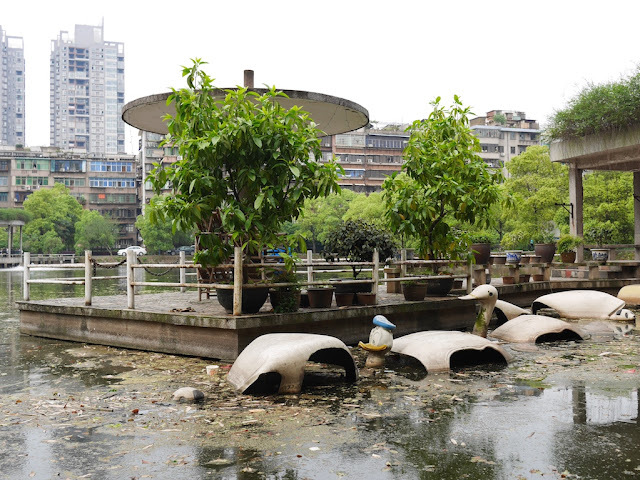 But the sunken boats remain. 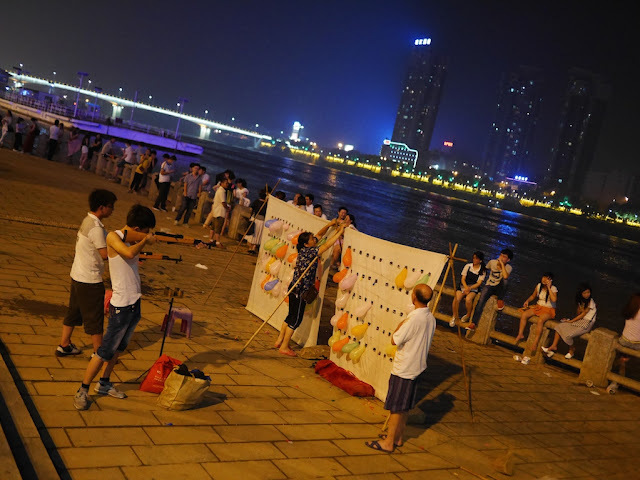 I don't know their story and can only wonder if they will be in the same state if I return to Hengyang again. 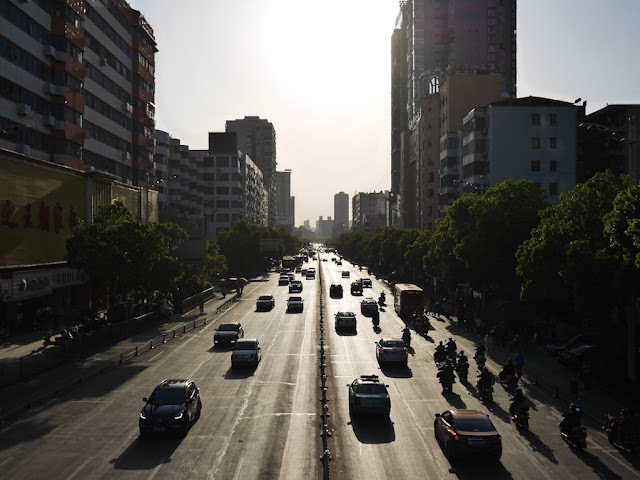 Gaining a deeper understanding of regional variations is part of what has motivated me to examine a large number of cities in China. 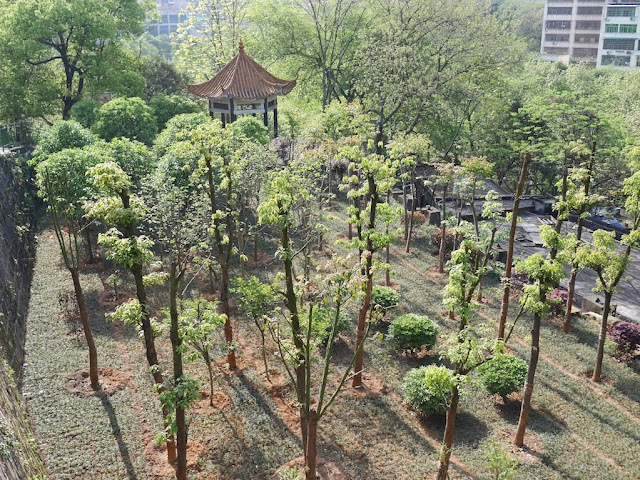 Gaining a deeper understanding of what can change over time is part of what motivated me to spend two months in Hengyang, Hunan province, last year and return for a look this year after 9 months away. 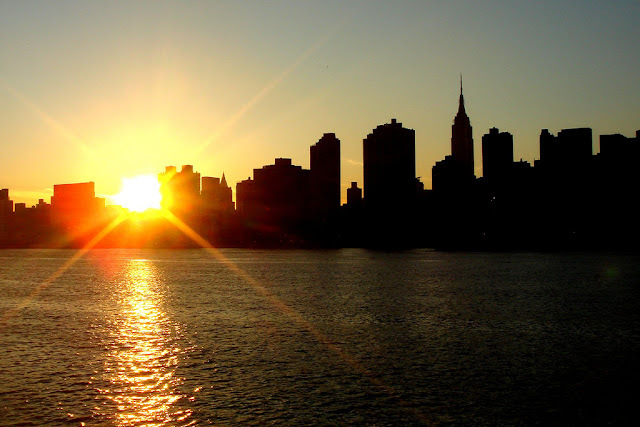 Here, I'll share three changes I noticed which impacted personal experiences of mine. 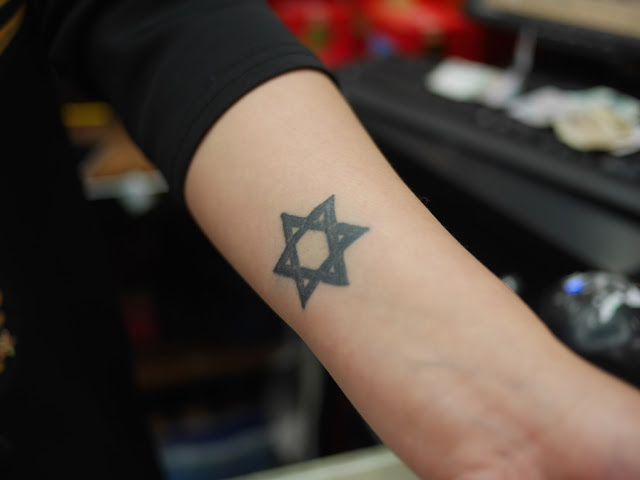 However, they touch on broader issues as well. 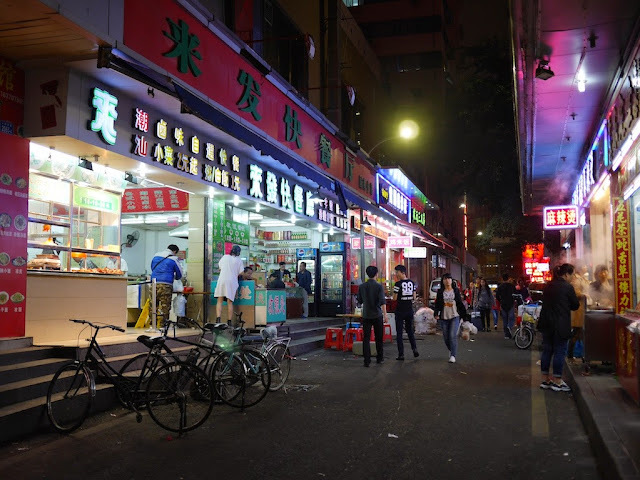 The first case involves a restaurant which appeared in a subtle photo essay about an important date in Chinese history. 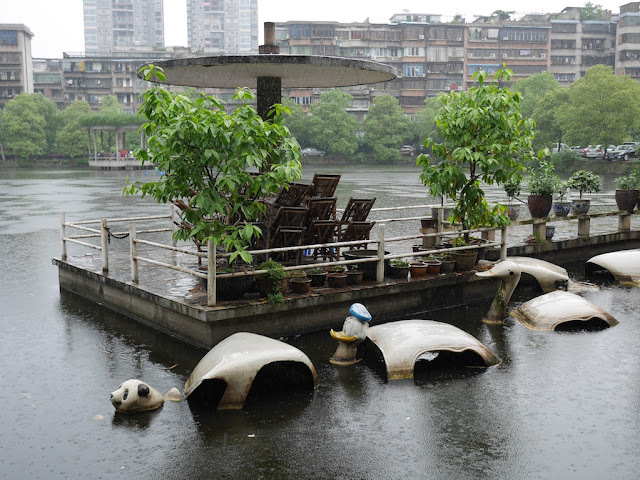 Unlike most restaurants, it was located under a bridge. I passed the no-frills restaurant many times last year and on a few occasions stopped for lunch. The dishes were already prepared and kept warm while on display — no printed menu necessary. 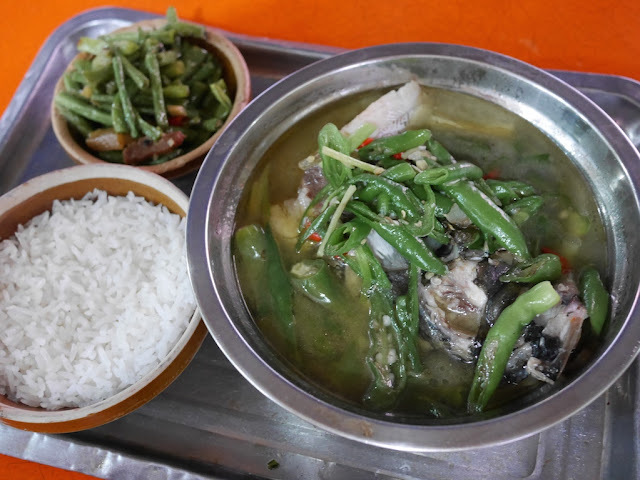 I typically selected at least one fish dish. The prices were especially low, and typically the customers were surprised to see me eating there. One man asked why I didn't eat across the street, since he thought the food was better there. 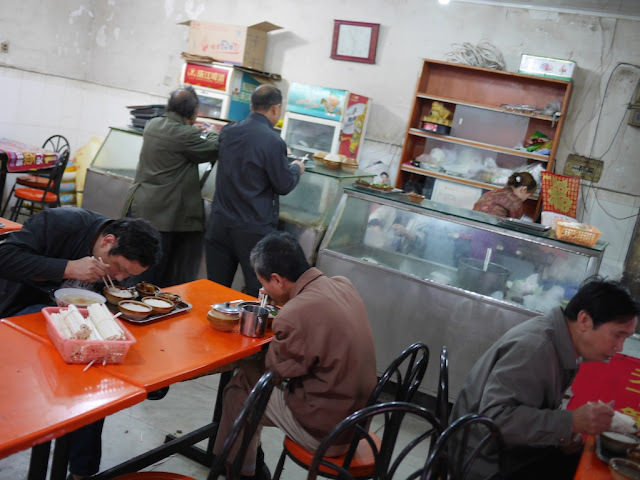 I didn't agree, although most people would consider the other restaurant to have cleaner and more upscale conditions. 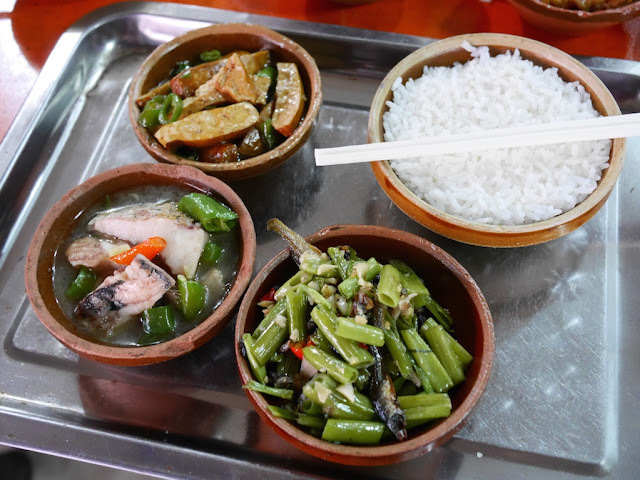 For me, the restaurant under the bridge had a special atmosphere — including a group of older men often sitting outside drinking baijiu during lunch. I was looking forward to stopping by again this year. But when I approached the bridge, I felt momentarily confused. Not only could I not find the restaurant, the building which held it no longer existed. 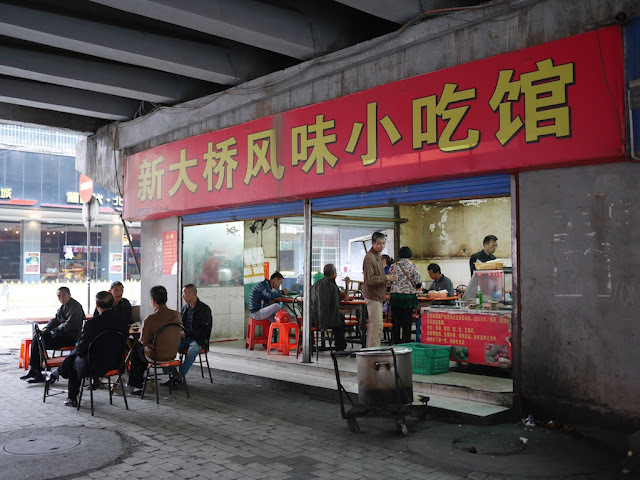 Fortunately, Hengyang has many other restaurants, though I haven't seen another under a bridge. 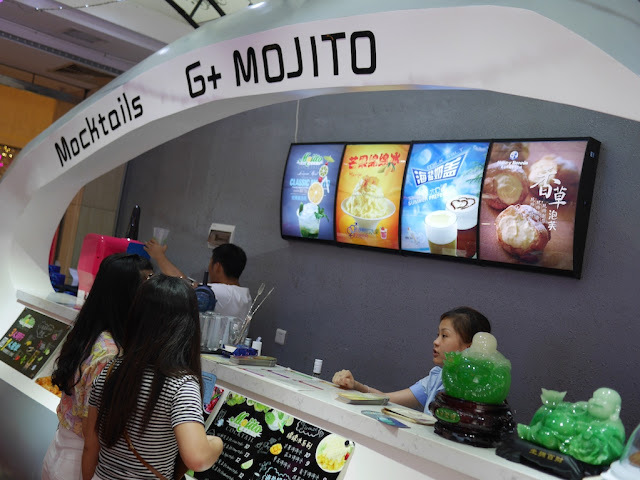 Towards the end of my time in Hengyang last year, a new drink shop opened on a shopping street that, unlike the restaurant under the bridge, was popular with youth. The shop featured mojitos — a rum-based cocktail with mint. Most of the drinks were alcohol-free drinks, some similar to cocktails, but genuine mojitos were available. 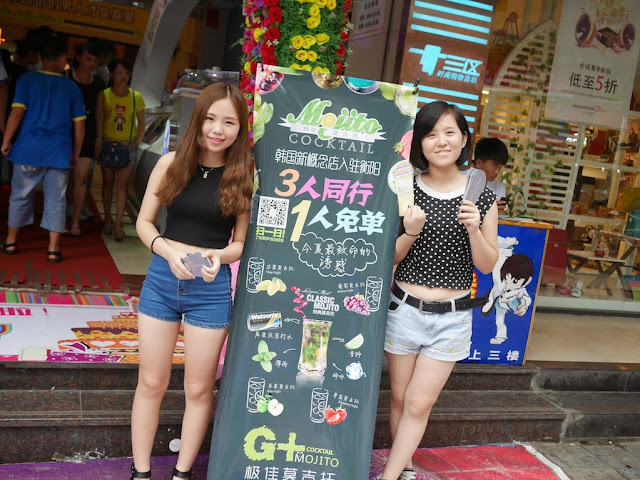 Mojitos aren't a common drink in Hengyang, or in many Chinese cities, and at an outside promotion they provided details on its non-alcoholic ingredients. After inspecting their bottle of Barcardi rum, which was either genuine or a decent fake, I ordered a mojito for less than US $2 — hard to beat, especially since they were willing to be rather liberal with the rum. Honestly, I was most attracted by the fresh mint, something I hadn't seen in a while. I then enjoyed a riverside stroll with the drink. 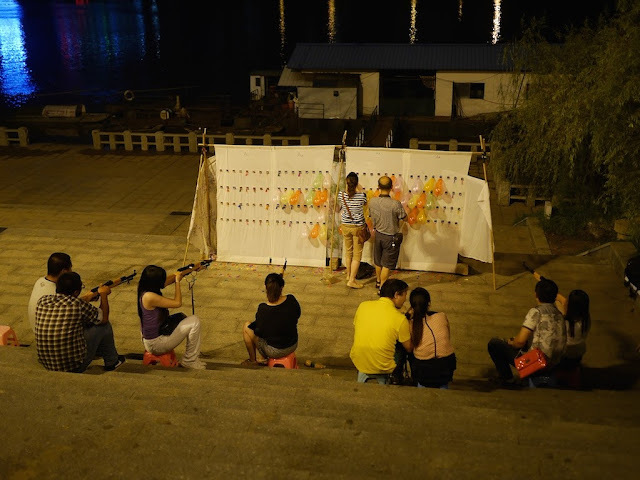 Unlike the U.S., in China one is free to walk around public areas with an "open container" of alcohol. This year when I returned, I saw that the mojito shop was no more. But unlike the restaurant under the bridge, it had been replaced. No rum or fresh mint, though. I can't say I am surprised. In a more surprising case, I hoped to revisit a roller coaster I once compared to a historic roller coaster in the U.S. 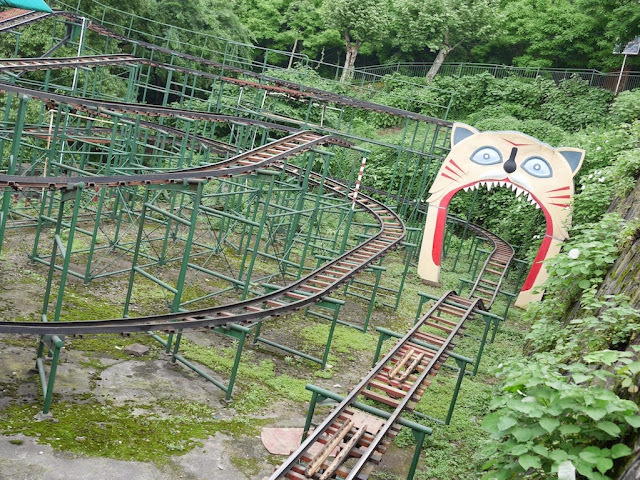 The cat & mouse themed roller coaster in Yueping Park had its charms. 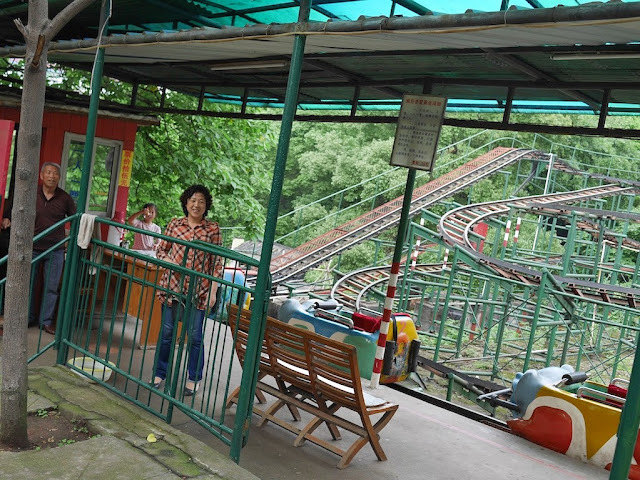 As I approached the roller coaster walking on a winding path up a hill, something seemed amiss, and I briefly wondered if I had taken a wrong turn. I then realized the location for the roller coaster was now covered with newly planted trees. Perhaps the park wanted a more natural look. The rooster and chicken walking around the edge of the area weren't talking. I would never ride a roller coaster here again, and I couldn't even drown my sorrows with a mojito. 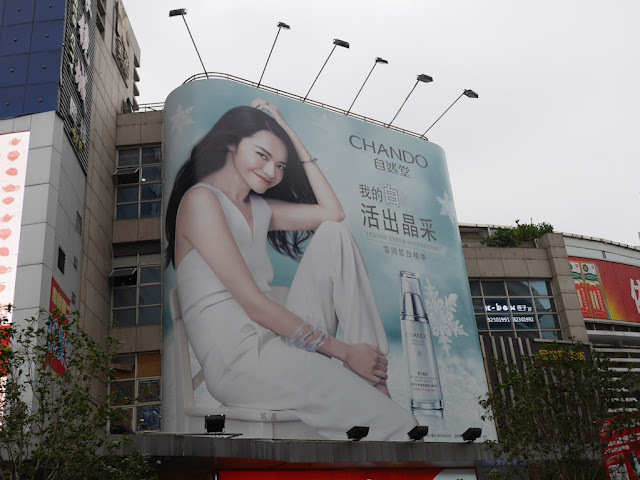 Other changes in Hengyang also caught my attention. 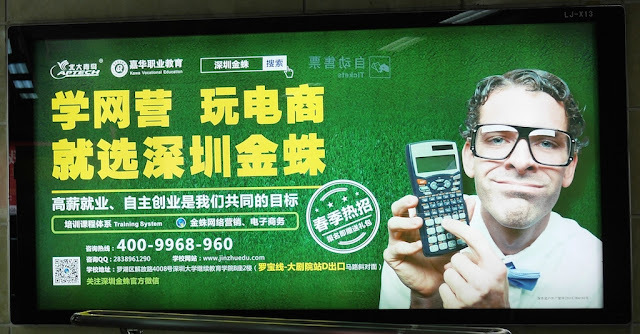 In some cases, the changes reflect issues which extend across China. I will share more examples of change and also some of what hasn't changed in later posts. 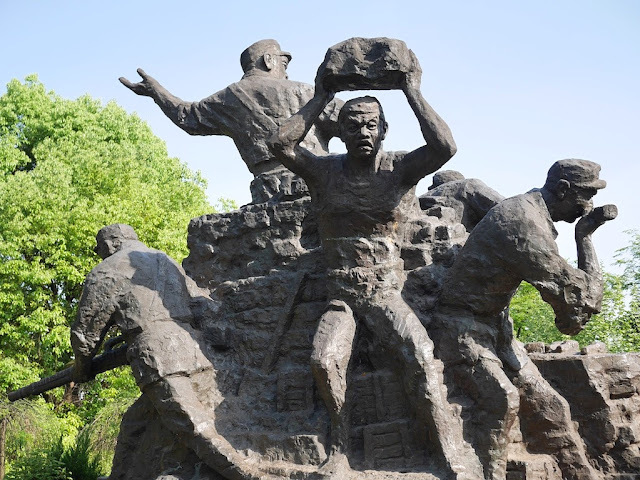 I initially focused on the stark differences between the activities the statues depict at two parks in Hengyang, but lately I have pondered how they may sometimes be connected. 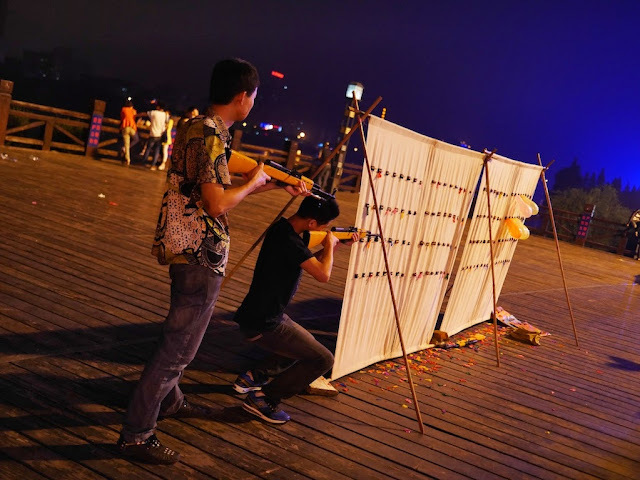 The first photo was taken in June last year and the second last night in Hengyang. 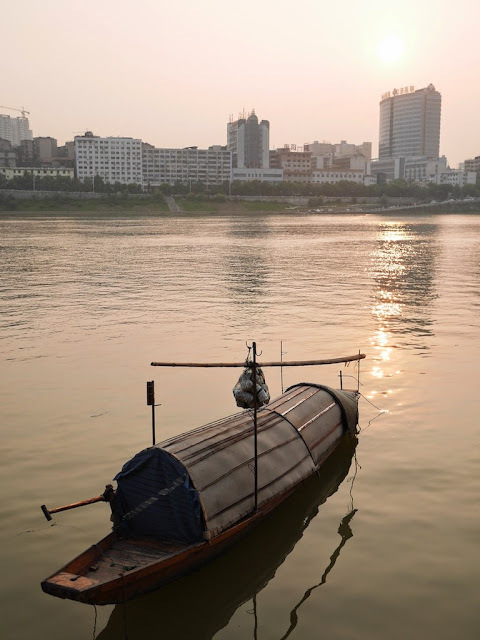 It wasn't until recently I realized I had captured fishing scenes with contrasting boats at nearby locations, as indicated by the buildings in the background. In both cases, no other boats with people fishing were around. This is my way of saying I am back in Hengyang, Hunan, though for a much shorter time than the two months I spent here last year. I have already experienced and captured so much during recent days it could occupy my blogging for at least a month or two. That doesn't even count what I still have from last year. As usual, more soon . 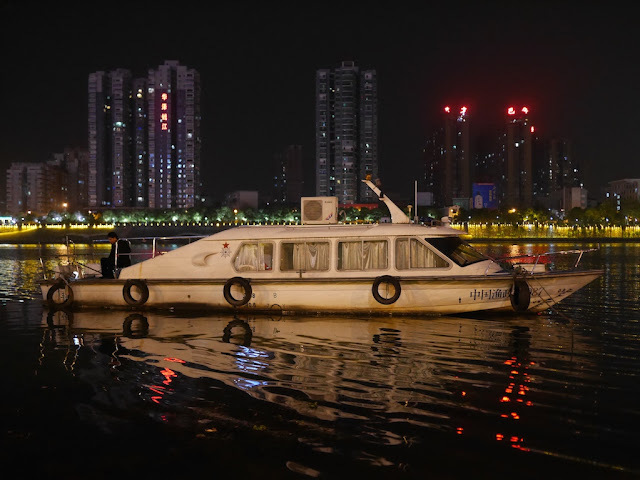 . .
As I mentioned before, a recent set of photos from Shenzhen, Guangdong province, could inspire a number of questions. Some of the questions I had were about a McDonald's french fries costume in one of the photos. 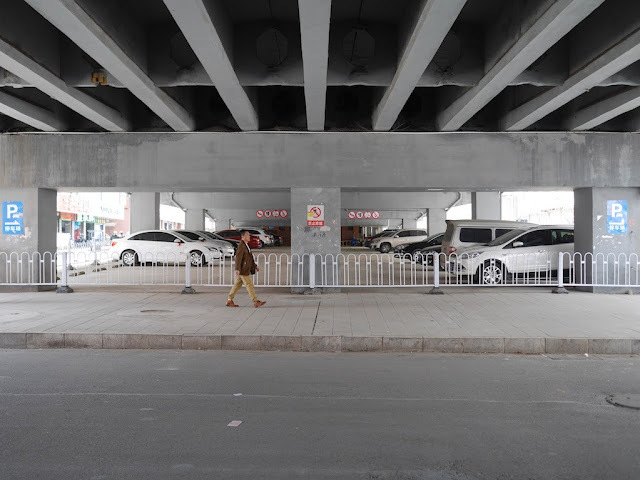 The person wearing the costume in the above photo was standing near a McDonald's in Huaqiangbei while another person was handing out McDonald's coupons. It appeared the costume had seen better days. 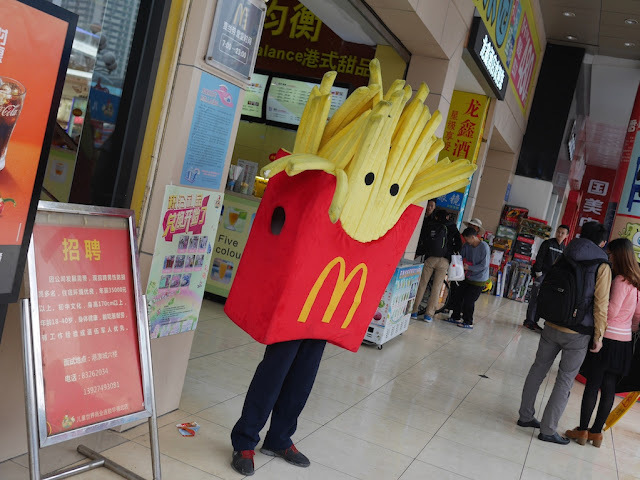 Fortunately for the restaurant and anyone eager to be a box of McDonald's french fries, the seemingly same costume is available for purchase online. 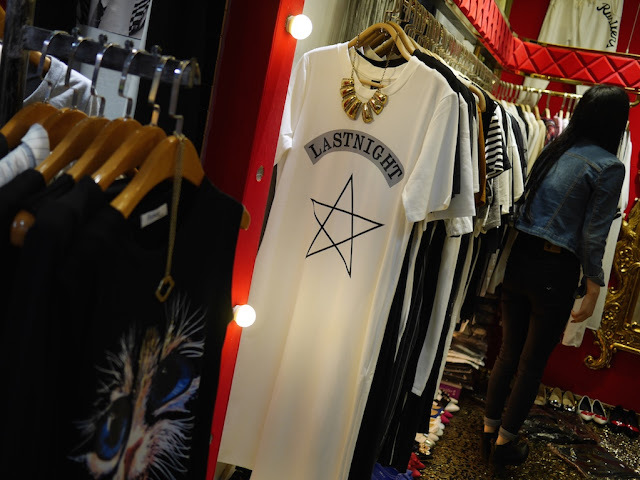 One Guangdong-based store sells a complete costume through China-based AliExpress for US $206. The costume includes a helmet "strong and hard enough to avoid breaking and sudden striking" — a valuable feature since you never know when this costume might provoke an attack. The seller's list of settings where the costume could be appropriate includes "wedding ceremony". I don't question the authenticity of the McDonald's restaurant, but, as far as I can tell, the costume doesn't represent an official McDonald's character. The closest I found were the Fry Kids, formerly known as the Fry Guys. Although they have an affinity for fries, they are not fries themselves, which has its advantages. So I am left wondering whether the McDonald's Corporation has approved or cares about the use of this french fry costume for promotions. I would also be interested to learn whether they have approved the public selling of the costume, which includes their registered trademark. One thing I am not questioning, though, is whether there are any opportunities for the costume in a wedding. In Hong Kong, which borders Shenzhen, McDonald's offers wedding parties. 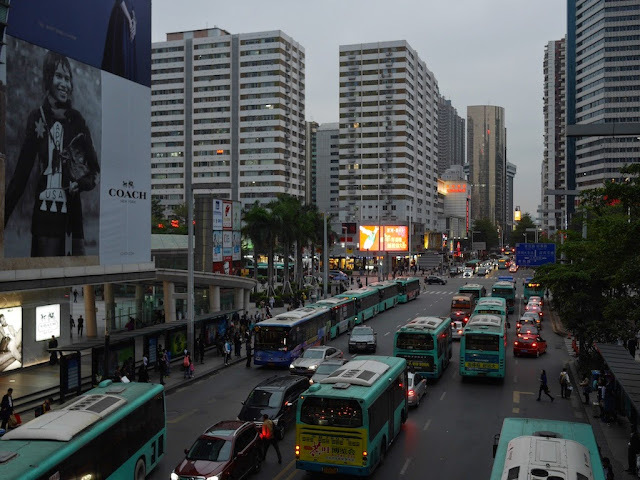 My recent visit to Shenzhen lasted less than 48 hours before I bordered a high-speed train. 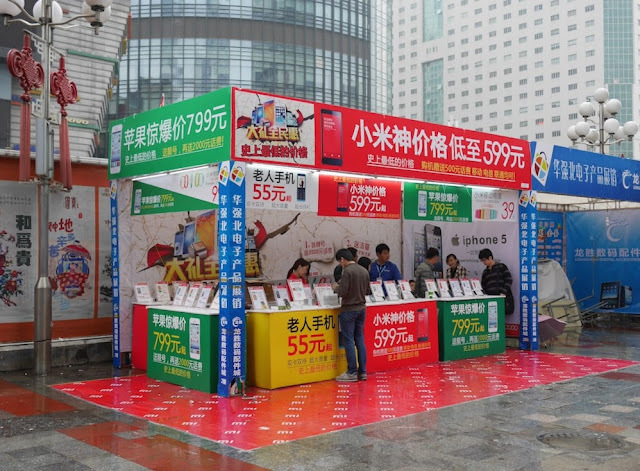 Below are 12 photos shared in the spirit of "some of what caught my attention and interested me in addition to monsters and huge mobile phone markets during a brief period of time in Shenzhen". 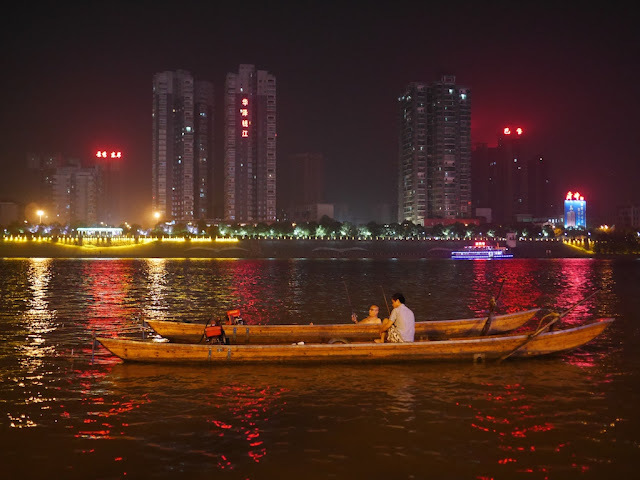 In one manner or another, each photo captures a part of Shenzhen's culture and environment. But there is certainly much, much (much) more to this rapidly changing city which fascinates me every time I visit. And even as I look at the photos now, they continue to inspire new questions. More from other lands soon . 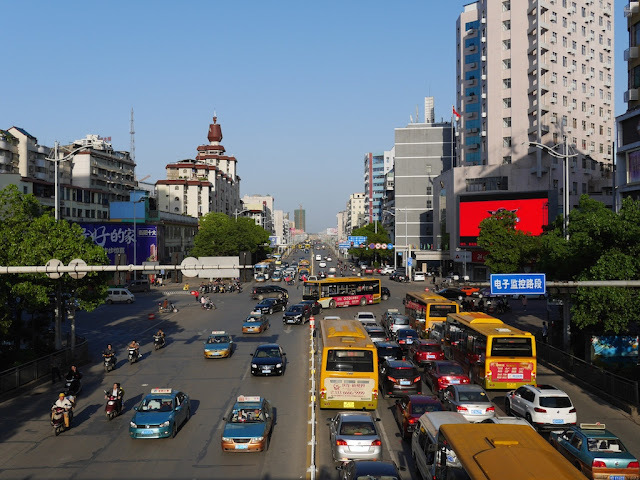 . .
Theres over 20 shopping malls located in the Huaqiangbei area which provides about 70 million square meters of business area. 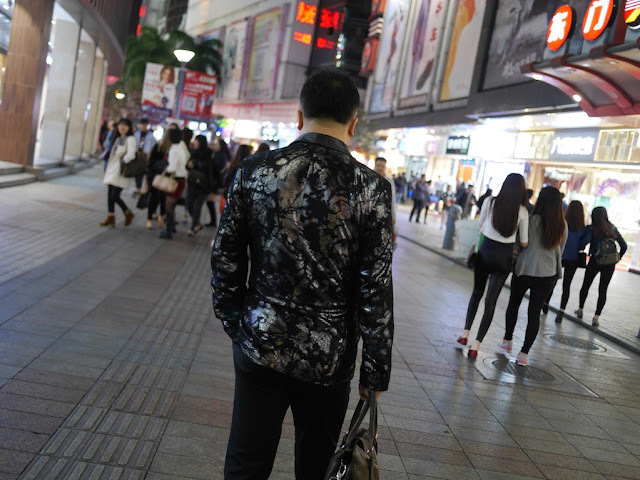 Annual sales reaching over 20 billion, and there’s something like 130,000 people employed in the area. Yep, it’s large. 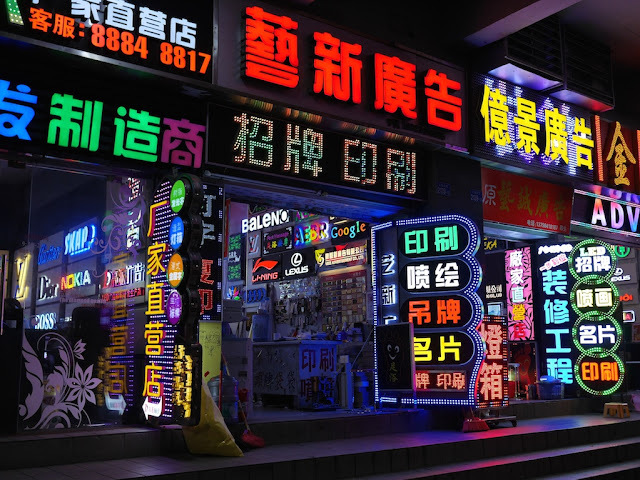 Skip [the consumer electronics shops] and spend your time in the buildings dedicated to Android tablets, “Shanzhai” phones (copies), phone accessories, components, LEDs, various gadgets, etc. Within lies stall after stall after stall of nearly every gadget, component, and tool imaginable. 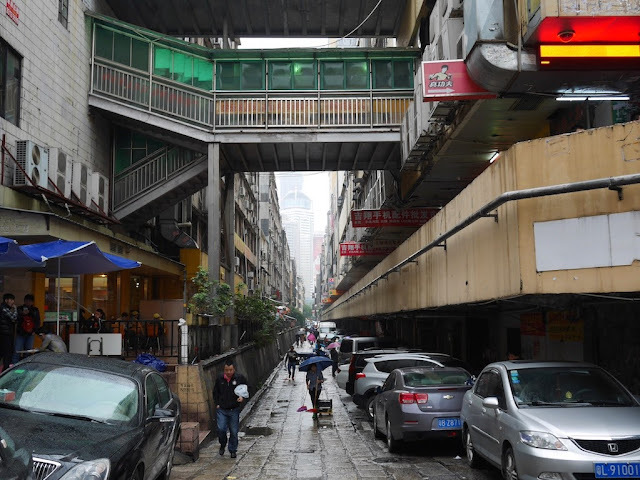 Over half a dozen city blocks are filled to the brim with crowded marketplaces, each ranging from four to 10 floors high. Photos hardly do it justice. The place is immense. Thousands of mobile phones with cracked screens, some showing clear signs they were from the U.S. Screens for various brand name phones for sale. Workers fixing and cleaning phones. Workers affixing brand name labels to unmarked batteries. Workers packaging iPhones to appear as new. Foreigners making purchases, reminding me of what I learned at a fake stuffed toy wholesale store in Guangzhou. 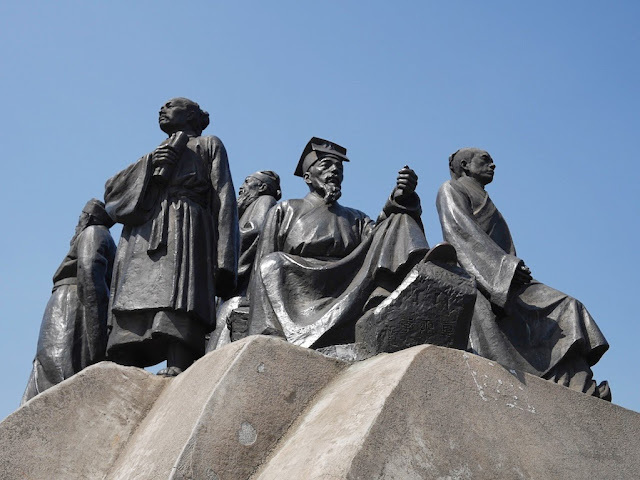 There is much more to say about Huaqiangbei, but I will leave it this for now. It can be a fascinating place to visit, even if you don't need to change an iPhone 5c into an iPhone 5s.